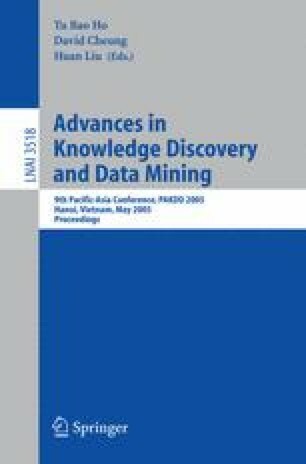 A major opportunity for knowledge discovery and data mining over the coming decade is to accelerate scientific discovery by providing new computer tools to analyze experimental data. Scientific fields from astronomy to cell biology to neuroscience now collect experimental data sets that are huge when compared to the data sets available just a decade ago. New data mining tools are needed to interpret these new data sets. This talk presents our own research in one such scientific subfield: studying the operation of the human brain using functional Magnetic Resonance Imaging (fMRI). A typical fMRI experiment captures three-dimensional images of human brain activity, once per second, at a spatial resolution of a few millimeters, providing a 3D movie of brain activity. We present our recent research exploring the question of how best to analyze fMRI data to study human cognitive processes. We will first describe our recent successes training machine learning classifiers to distinguish cognitive subprocesses based on observed fMRI images. For example, we have been able to train classifiers to discriminate whether a person is reading words about tools, or words about buildings, based on their observed fMRI brain activation. We will then introduce an algorithm for learning a new class of probabilistic time series models called Hidden Process Models, and discuss their use for tracking multiple hidden cognitive processes from observed fMRI brain image data.